It's finally here guys and gals- the Merry Hill S/S'14 WE ARE FASHION live event! This weekend (15th-16th March) is officially the launch of Merry Hill's S/S'14 fashion campaign, and to get you all excited about a new season of all things fashionable, shoppers are going to be treated to two fashion-filled days at the mall which will centre around a large roundabout catwalk show featuring looks created by top fashion designer Louise McDowell, and assisted by fashion students from Kidderminster College. 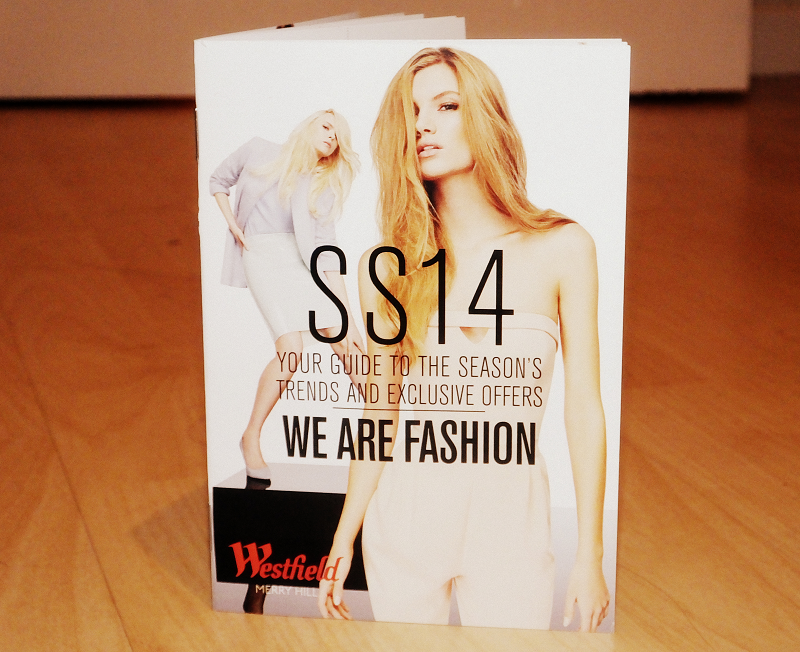 As well as the catwalk show, shoppers are going to have access to exclusive centre discounts thanks to the snazzy little S/S'14 discount booklets which are available for free from the concierge desk. 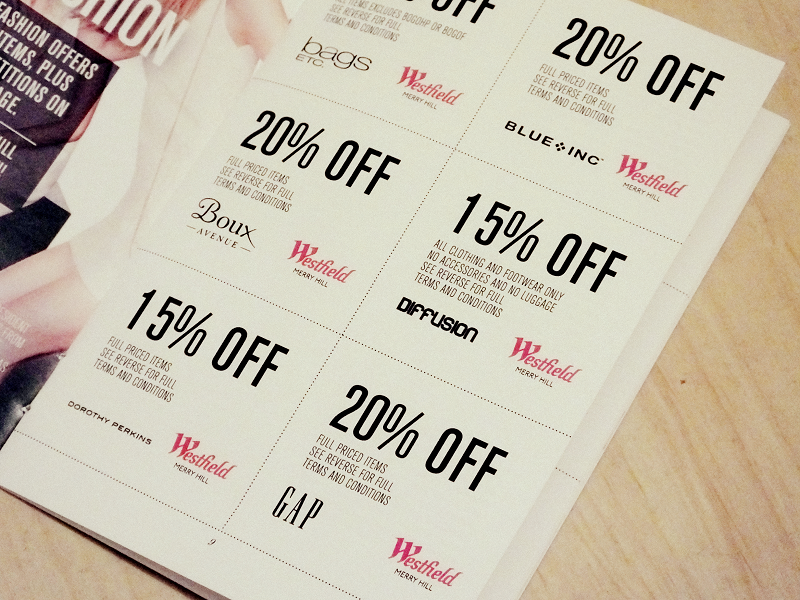 This mini booklet is jam packed full of discount vouchers for some of the best high street retailers. Deals include: 15% off at Office, 20% off at Gap and 20% off at Vero Moda. These are exclusive deals which can only be redeemed over the weekend, so make sure you take advantage of a guilt-free discount. If you're lacking a little fash-spiration right now, Merry Hill has put together a few little style guides for a handful of the hottest trends right now. 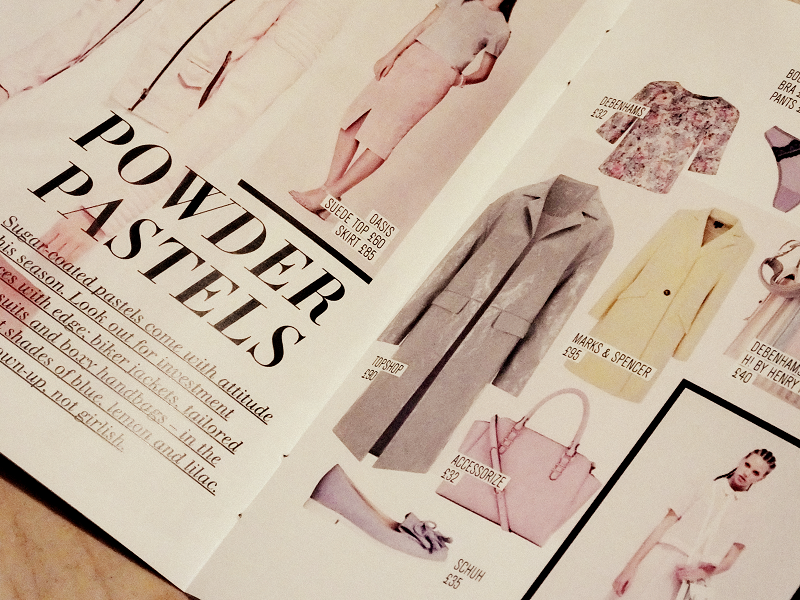 The slick layout and design make these trend pages look like they're straight out of a fashion mag, top marks Westfield for your fashion edits. 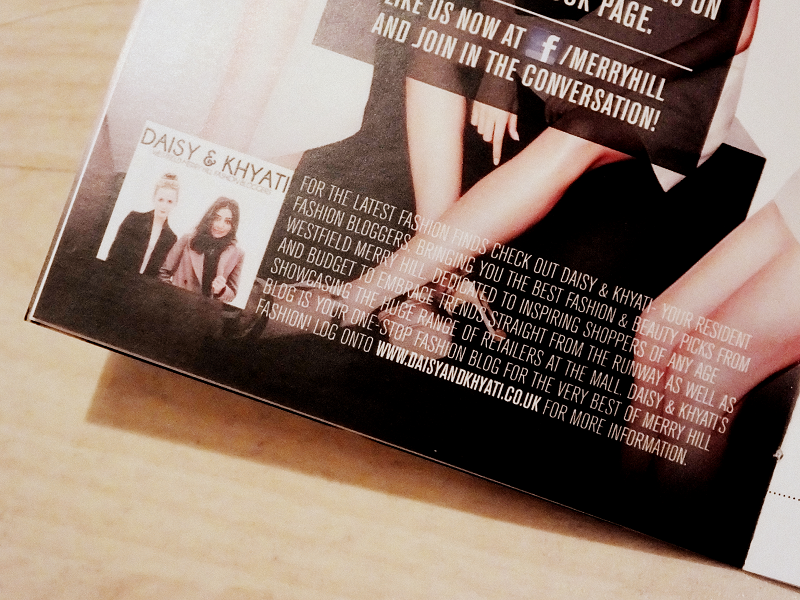 Our first official advert! As the pages aren't numbered, you'll have to play a bit of 'where's D&K?' to find us but we're in there somewhere. And of course we'll be attending the event and making the most of the discounts on offer- as if we needed another reason to go shopping?! Hopefully those three reasons have persuaded you to pop down to Merry Hill this weekend...if so, see you there shoppers!